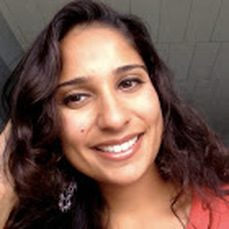 Dr. Manu Sharma is an Assistant Professor at University of Wisconsin-River Falls in the Teacher Education Department, where she teaches foundational courses which focus on equity and diversity issues in education. Dr. Sharma has previously taught a variety of undergraduate and graduate courses and supported field placements at Brock University, University of Toronto, and University of Windsor; in addition, she has also worked for the Toronto District School Board and in international settings as a public educator. Her research interests and publications in the field of teacher education are based on equity initiatives, teacher development, social justice pedagogy, deficit thinking, and international teaching experiences. Dr. Glenda L. Black is an Associate Professor at Nipissing University, North Bay, Ontario. In the graduate program, she teaches courses related to educational leadership and adult learning. In the teacher education program, she teaches curriculum inquiry (action research), curriculum design and assessment courses. Prior to her arrival at Nipissing University, she was a classroom teacher and school administrator. Glenda’s research interests are in international teaching practicums, indigenous education, curriculum development, and of course action research. Sunny Man Chu Lau is an Associate Professor in the School of Education at Bishop’s University. Specializing in second language education, she teaches courses related to second language and literacy learning at the undergraduate and graduate levels. As the recipient of the 2012 Founders’ Emergent Scholars Award (sponsored by the International Society for Language Studies and Language Studies Foundation), she is committed to critical scholarship in language studies, in particular critical literacy education with English language learners. Most of her research studies are qualitative inquiries and she seeks dialogic approaches to theory building through collaborative classroom research with school partners. Dr. Kurt Clausen, Professor at the Faculty of Education at Nipissing University, has acted as editor-in-chief of the Canadian Journal of Action Research for the past 18 years, publishing nearly 40 issues. In 2014, he was the founder and first president of the Canadian Association of Action Research in Education (CAARE). He and Glenda Black are presently editing the upcoming polygraph The Future of Action Research in Education: A Canadian Perspective for McGill-Queen's University Press. Kelly Kilgour is a Doctoral Candidate and Part-Time Professor at the University of Ottawa and Algonquin College. Kelly has degrees in nursing and education. She is a Registered Nurse and has taught in the School of Nursing and Faculty of Education at the University of Ottawa since 2004. She is a recipient of 2015 Excellence Award for Teaching Assistants, Doctoral Award of Ontario Graduate Scholarship and University of Ottawa Excellence Scholarship. Her doctoral thesis will employ action research to investigate Fostering patient involvement within interprofessional healthcare teams. 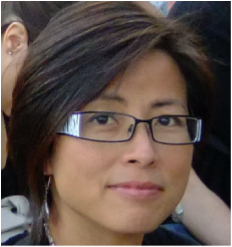 Her research interests include patient involvement, family caregiving, action research, interprofessional teamwork, adult learning, and socio-material learning theory. Tara Flynn is an educator, author and editor who has been conducting research in the fascinating world of mathematics education with Dr. Cathy Bruce since 2007. Tara has worked with hundreds of dedicated and innovative educators through cycles of collaborative action research and lesson study, particularly in the areas of spatial reasoning and fractions. She was a member of the Action Research Network of the Americas (ARNA) Conference Proceedings Committee (2014 and 2015), which received ARNA’s Community Development Award in 2015. She is the principal author of the recently published research-based resource published by the Elementary Teachers’ Federation of Ontario (ETFO), Learning through Teacher Research: A Guidebook for your Action Research Journey. Morgan Gardner is an Associate Professor from the Memorial University of Newfoundland. Her research interests include Participatory action research, student voice, engagement, activism and authorship in education, youth deemed "at-risk" in school, social justice and democracy in education and educational change, educational alternatives strengths-based approaches in education, community voice and involvement in education postmodern approaches to school counselling, and expressive arts pedagogies in teaching and learning.